In an ongoing series of guest speakers, the Mātauranga Māori curatorial team was recently joined by our previous manager, Dr Wayne Ngata (Te Aitanga-a-Hauiti, Ngāti Ira, Ngāti Porou). Mātauranga Māori curator Matariki Williams recounts his kōrero. It’s been just over a year since Wayne was stolen by the Ministry of Education (I’m not bitter), but his insight as an education specialist, reo Māori advocate, iwi representative, and all-round mātauranga Māori champion holds value. 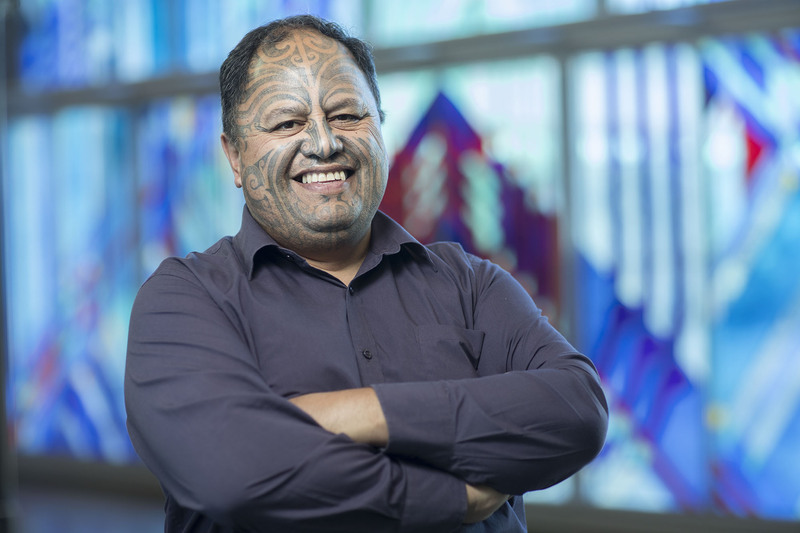 At the Ministry, Wayne’s role is to ensure that education for Māori is the best it can be. In that sense, there is an analogous relationship between what he is doing for Māori in the education system and what our team is doing at Te Papa for our collections, our people, and our visitors. This focus Wayne referred to as his “sightline”, and stated that for him, it is learners in-whānau that are in his sightline. Inevitably, this led to a discussion around who might be in the sightline for our team, a question that is complicated by our institution’s competing priorities to be able to cater to broad, general, international, and specific audiences. By focusing on any one of these audiences, how does that compromise the experience of the others? As we are representing taonga Māori, do we do Māori audiences a disservice by not prioritising them? In our sightline, the shapes are nebulous – how do we maintain focus on an ever-changing beast? 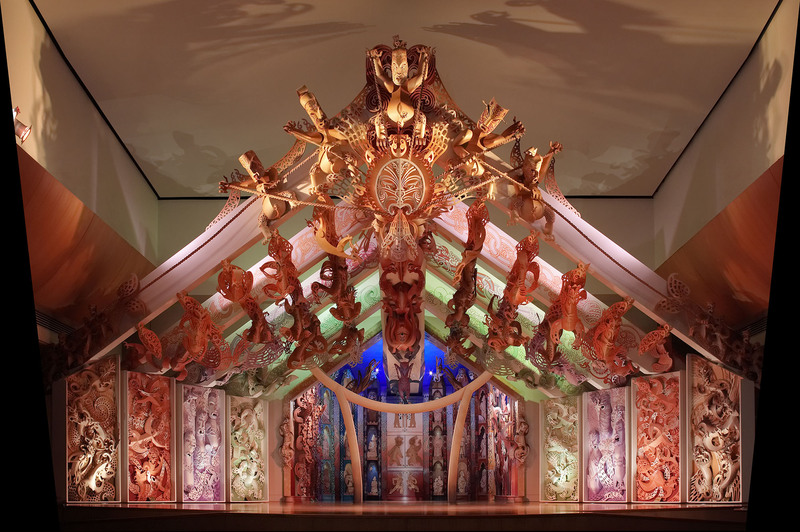 These competing priorities bring us back to a question that continues to rear its head: “Are museums the right place for Māori?” And by extension, are they the right place for our taonga to be? Now, where to even begin with trying to answer this?! Each of us Māori staff will have thought about and grappled with this question – and this is before even considering the ‘r’ word (I’m talking repatriation here folks, the arewhana in many collection storerooms). Within all of these calls for change, I can’t help but note the reactions that Māori visitors have when they are brought into the collection storerooms. Regardless of whether they have any knowledge about taonga Māori or not, their awe is palpable. Does this justify the keeping of a collection, of a museum? That kōrero aside – or should I say, that ginormous kōrero aside – what role can museums play in society? To answer this, I go back to something Wayne said about a “continuum of engagement and relevance for Māori audiences”, suggesting that when Te Papa opened, it sat at the extreme end, being highly engaging and highly relevant to Māori. Nowadays, he suggests we sit in the middle. This is due to the place Te Papa held in an increasingly self-aware society of 20 years ago but, is it still true in this age of information saturation? Wayne asserts that museums have a role in engaging people in debates because, “He whare kōrero tonu”, we are still a site that spurs discussion. To take the analogy further, we could be seen as a marae ātea where views are shared, debated, underscored, challenged, entrenched. We are a site for all voices. Sometimes these debates and discussion necessitate discomfit. A clear example of this would be the fact that we are a bicultural institution, yet there is no expression of Te Tiriti o Waitangi in the Museum of New Zealand Te Papa Tongarewa Act 1992 (though there are some rather amorphous references to recognising the mana of peoples). Despite this, Te Tiriti is expressed in the very architecture of the building, the boulders outside the front entrance. However, among us we asserted that expressions of Te Tiriti in the institution remain in high level discussions, as an abstract concept. It is the implementation of Te Tiriti and its principles where the hard work is. At Te Papa, we are great at aspects of the implementation, and can always work to improve the rest. To do so, Wayne was adamant that all staff knew that upholding Te Tiriti was on all of us, that to be able to call ourselves a bicultural institution, all staff members need to take ownership of what this means. He cited the work of Dr Matthew Farry from the Institute For Courageous Conversations who works in the field of cultural competency and racial equity transformation. Farry insists that, as Aotearoa populations become increasingly diverse, Te Tiriti and its principles becomes more important. But, again, what does this mean in practice? Here I’m writing ‘we’, but that too needs interrogating. Who is it that needs to do this work? To attempt to answer this, I’m going to point you towards “data-drive feminist storyteller, rogue librarian”, Tara Robertson. Tara is the Diversity and Inclusion Strategic Partner at Mozilla and was in town as a keynote at the 2018 National Digital Forum conference. In her keynote, which you can watch below, she asked the questions: “Whose voices are missing? How do we include these voices?” To take these questions further, are these voices in the room at all levels? Are they being listened to? These are massive questions and are impossible to answer in a blog post, or over a coffee, and yet they aren’t going away. Or, to put it bluntly, as my colleague Dougal Austin says, “Museums have baggage.” This is where we circle back to the line in the title, and to the work that must happen first as Wayne says: “Matua whakapai i tō whare”, first we must fix our own house.